This lesson describes how to use the relayering functionality in LiveCode. Relayering allows you to manipulate the layers of controls in a dynamic fashion and shift controls relative to other controls on a card. This lesson shows two examples in which layering can be used. We are using the test stack shown in this figure as a starting point to demonstrate how relayering works. The buttons b1, b2 and b3 occupy layers 1, 2 and 3 respectively. 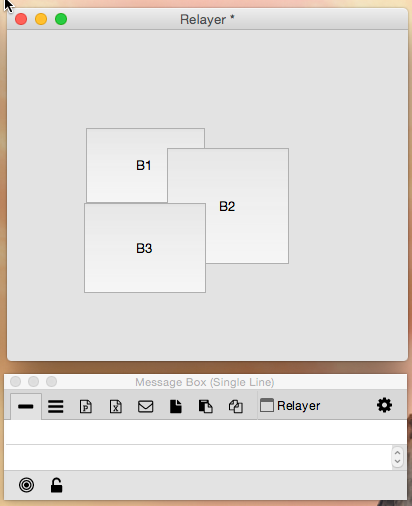 Layer 1 is the layer closest to the card with higher layers protruding closer towards the viewer. 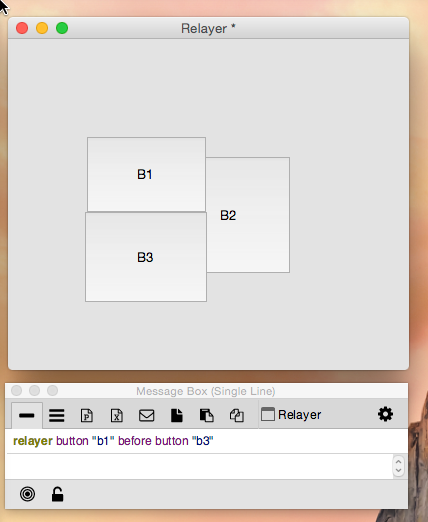 relayer button "b1" before button "b3"
relayer button "b1" after button "b2"
You can see how button b2 has seemingly moved onto the card. 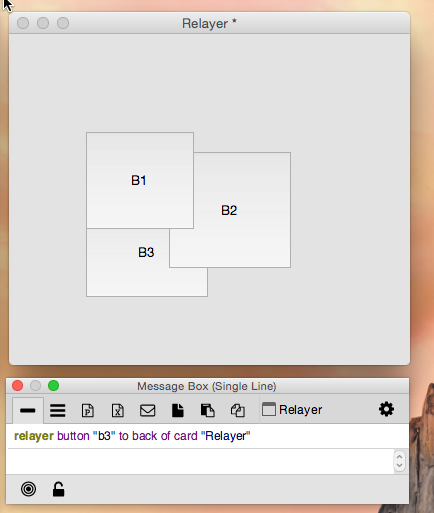 relayer button "b3" to back of card "Relayer"
Native controls are created in native layers and therefore other controls cannot be layer on top of them. Native layers are always on top. This doesn't work when trying to put a button over a browser widget. Hi rmed, yes the browser widget is a different case because it is created in a native layer so other controls can't be layered on top of it. I'll add a note to the lesson listing the exceptions.